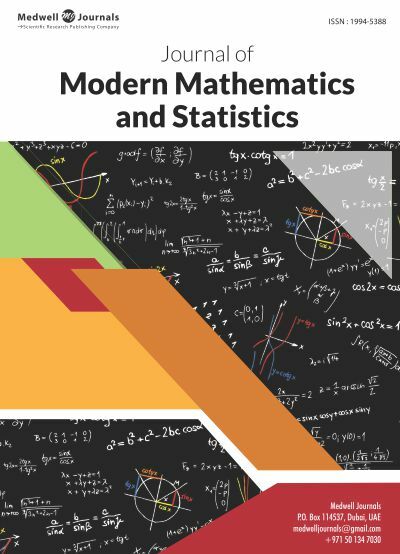 Journal of Modern Mathematics and Statistics is a scientific, peer reviewed, open access journal designed to provide information on the research about modern mathematics and statistics. JMMS started its activity in 2007, and since that time it is published bi-monthly and is available in both online and printed format. Articles of the journal include original research reviews, case study, editorials and surveys. The publications are reviewed by Editorial Board in accordance with the standards and novelty of the subject, while strictly following ethical guidelines.